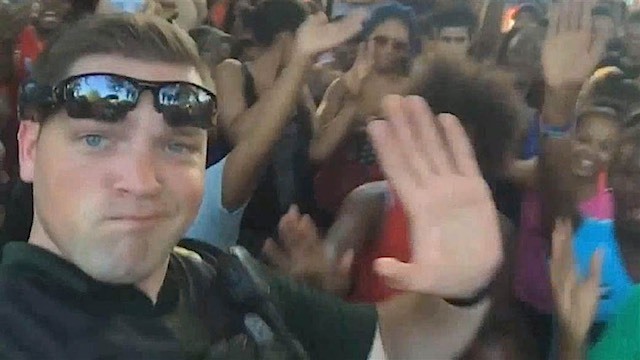 A police officer caught on camera dancing with local supporters of Black Lives Matter has earned the nickname “Officer Brown With The Get-Down”—and he is building bridges with the community one move at a time. A planned protest march turned into a community barbecue Sunday in Wichita, Kansas as protesters and cops joined together to organize the cookout—where they could begin a discussion between citizens and police, and have some fun. 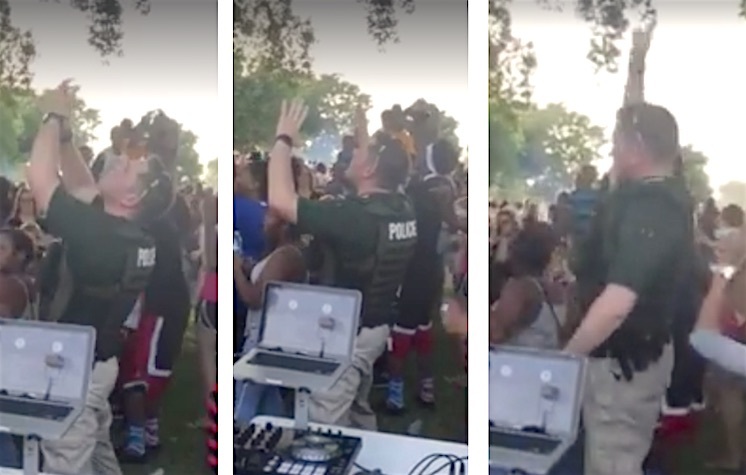 As the music was cranked up, you can see Officer Aron Moses throwing “his hands in the air like he just don’t care” and joining the crowd in dancing the Cha-Cha Slide. His dance moves have been seen by more than 16 million people. “If I need to dance a little goofy and do the “Cha Cha Slide” to help people see that I’m a real person that I do care and that I trust you, then that’s what I’m going to do,” Moses told KSN News.